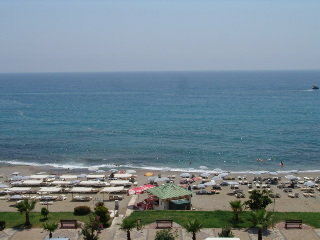 Looking out over the beachfront of Alanya, the Bayar Club offers a convenient place to stay for your break in the sun. Ideally placed within walking distance of the resort centre and the sea, this hotel offers the ideal setting for a relaxing stay. 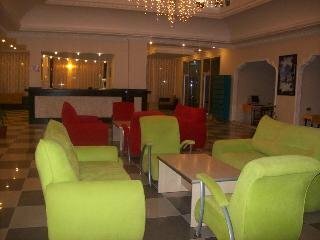 This friendly hotel is ideal for families and couples who want to enjoy some entertainment and relaxation beside the beach. 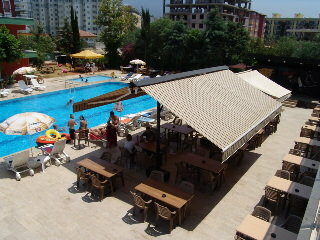 Outside the hotel you can enjoy swimming in the pool, which has a water slide and is framed by a furnished sun terrace. There is also a childrenâ€™s pool. The Bayar Clubâ€™s 208 guest rooms are decorated with simple, traditional features. Every room is equipped with air conditioning, a telephone, mini bar, hair dryer, en suite bathroom and a balcony is available. Certain amenities may be payable locally. 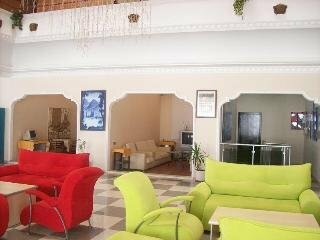 Guests can choose between an array of cuisines in the hotelâ€™s restaurant, which offers a buffet service. Drinks are served at the pool bar and in the beach bar. 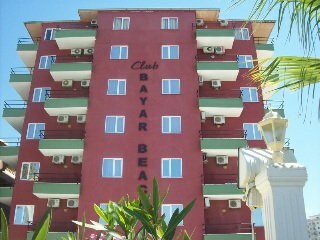 The Bayar Club sits along the beach, surrounded by local amenities and tourist facilities, such as bars, restaurants and shops. 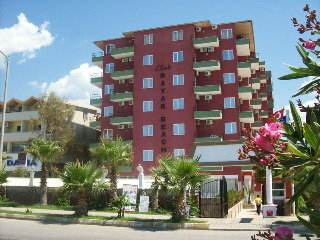 The heart of Alanya is only two miles from the hotel.